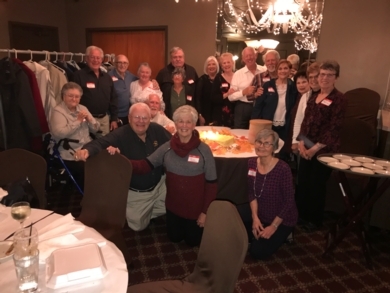 Highlights of the 75th birthday party were Cascone's terrific job of accommodating us, providing a wonderful and robust menu including their signature and incredibly delicious lemon cake in addition to spumoni ice cream! 27 classmates plus spouses and guests including GUS LEIMKUHLER joined in the fun. Jim Hobbs welcomed everyone and announced a new scholarship to honor Coach Crouthers for his leadership in high school wrestling. Our classmates John Erickson, Bob Benedetti and Larry Brock have been instrumental in creating this annual scholarship. It will be awarded to a graduating senior student who has participated in wrestling at NKCHS. The $2,500 award is for the student's continuing education. See the flyer for more information and where contributions to the scholarship fund can be sent. Sandra (Doolin) and Judy (Chastain) shared greetings from many classmates whose travel and/or health issues kept them away. Classmates attending signed a card for Ron Capps who will undergo surgery November 9; we acknowledged and shared our sympathies with Jane Edwards Roney whose husband Ted died unexpectedly just three weeks ago and shared the hugs all around for several others who have had some big challenges this past year. Chuck Bess who joined us from CA gave a rave review of the NEW NKC High School renovations/additions. He and Bob Chizek had an impromptu tour given by no less than Dr. Danny Clemens, NKC Supt. of Schools, who happened to be at the school when they stopped by to take a look. As Chuck said, it's outstanding and amazing what has been done there! We gathered around our huge cake, took a photo and sang to ourselves! The BIG celebration and much of the conversation was about our gratitude we all feel that we have been given 75 years of life. We also told stories (some untold) from that shared launching pad called NKC High School. Gus told us that when he tells people that he taught for 45 years, they simply cannot believe it. He also tells them that he would not have traded a moment of those 45 years for anything! If you were not with us SAVE THE DATE for FALL 2021 - our 60th YEAR REUNION!!! 70th Birthday Party Photo Gallery! 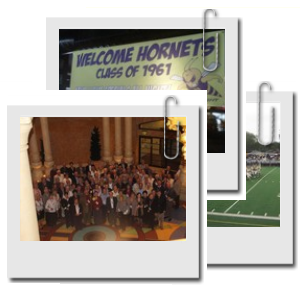 50th Reunion Photos Now Available! A Note From Our Reunion Photographer! NKCHS Announces 2011 HoF Inductees! View Classmates on Interactive Map! Welcome to the North Kansas City High School Class of 1961 website! A place to reminisce, recollect and reconnect. This private website is for your viewing pleasure and enables you to learn more about your former NKC classmates. It is free and you're able to participate at your convenience. 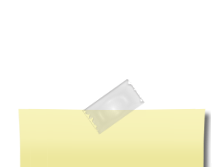 You'll find this website has a lot of information and we invite you to explore its content. Enjoy! It is our goal to find everyone from our graduating class. It would be helpful if you would please go to Classmate Profiles, click on your name, and sign in with your email address followed by creating a password. Upon doing so you will automatically be removed from the "Missing Classmates" page. 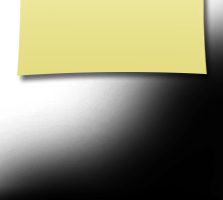 If you desire, you also have the ability to view additional content, upload pictures, and more. We would love to hear from you, including where you are and how you got there. Don't forget your password, so that you can come back to see updated information. 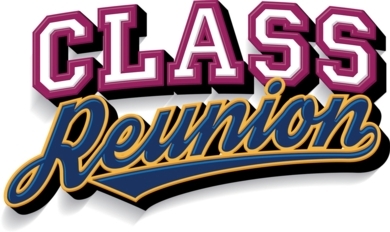 In addition, you will receive information pertaining to our next class reunion when and as it becomes available. If you know where other classmates are, please let us know so we can contact them; or please contact them yourself and tell them about the website. We look forward to hearing from you and seeing you at our next reunion!